Hotel Elysium is perfect for families, couples and those just wanting to relax. Set right on the beach it has watersports and activities galore, as well as a large swimming pool complex surrounded by loungers and a spacious terrace. To fully unwind visit the spa where the experts offer a combination of ancient and modern techniques to leave you feeling rejuvenated. Choose from eight bars and restaurants serving Mediterranean cuisine, international options, and pan Asian menus. Each of the rooms and suites is modern and spacious, with excellent amenities and beautiful views highlighting the chic decor. Set on a secluded sandy beach, the recently refurbished Hotel Elysium is a deluxe hotel with spectacular views over the Mediterranean Sea. 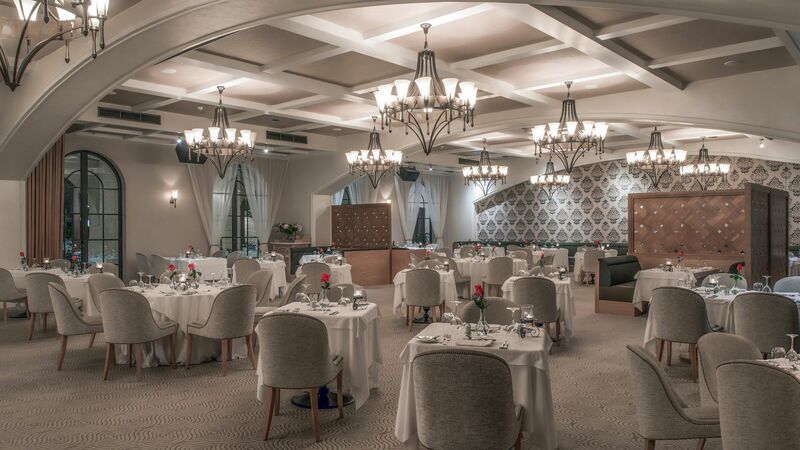 Located just ten minutes from the scenic harbour of Paphos and adjacent to the Tombs of the Kings, this hotel is immersed in its historic surroundings and is ideal for enjoying the shops, restaurants, and bars in the area. Set in beautiful, landscaped gardens, the hotel is majestic in design, influenced mainly by the Byzantine era. Choose from the beautiful rooms and villas on offer, all finished to the highest standard in warm terracotta and ochre colours. Hotel child prices apply to age 2–11 years. The hotel has 250 rooms, 3 floors, and 4 lifts. Specially modified rooms for people with reduced mobility are available on request. 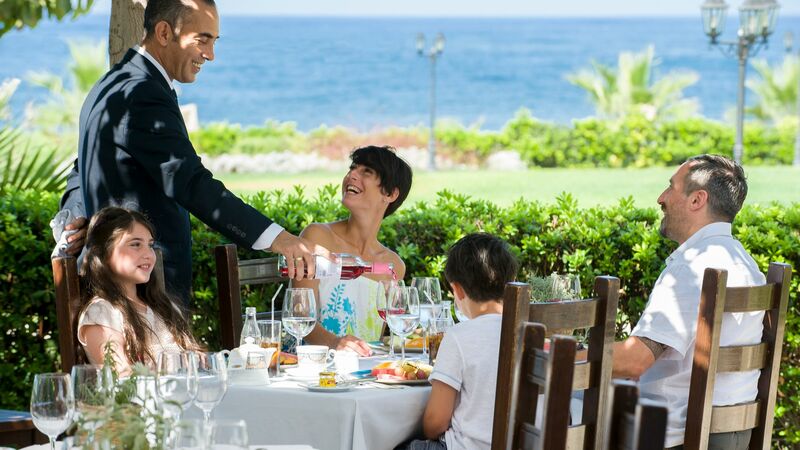 An al fresco terrace overlooking the Ocean, enjoy traditional Mediterranean cuisine, including pasta, fresh fish and fresh local produce. Take in the rustic décor as you watch the chefs in the open kitchen. 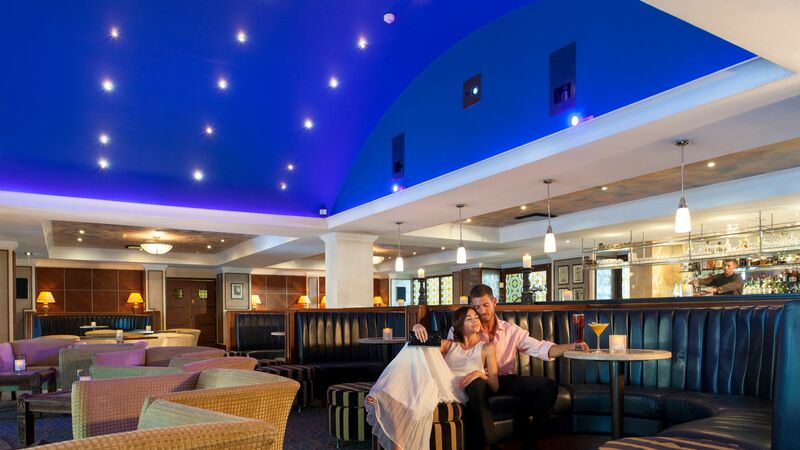 This glamorous bar is ideal for a relaxing evening or afternoon drink, chosen from the extensive menu. Choose from wines, champagnes, beers, cocktails and more. The modern and elegant café serves a range of delicacies, including Parisian patisserie items, sandwiches, salads and more. Afternoon tea is also served and there is a library to enjoy. 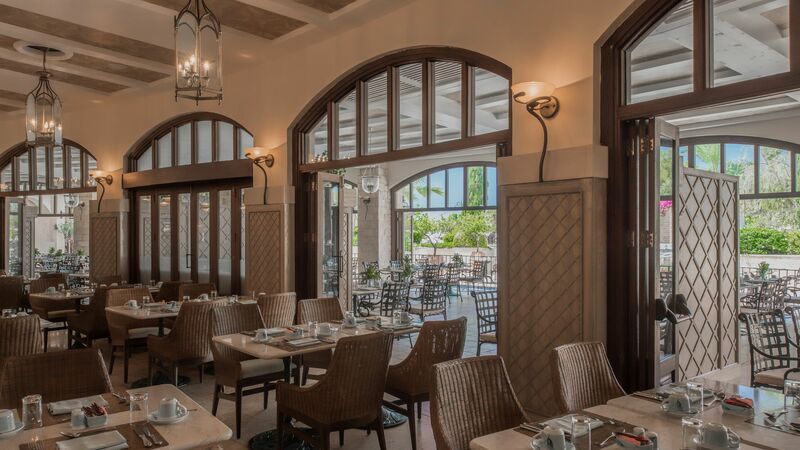 Venetian inspired architecture and interior design make this the perfect space for a special meal. Theme menus change every day and there is also a children’s menu. This bright, open restaurant offers beautiful rustic designs and an al fresco terrace. 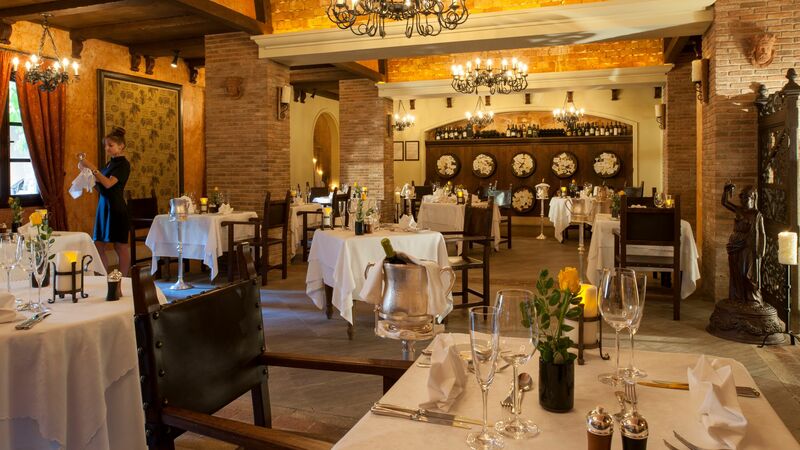 Choose from delicious a la carte menus with a theme which changes daily. Relax by the swimming pool and choose from a range of refreshing dishes, juices and cocktails. Favourites includes pizza and cold sandwiches. 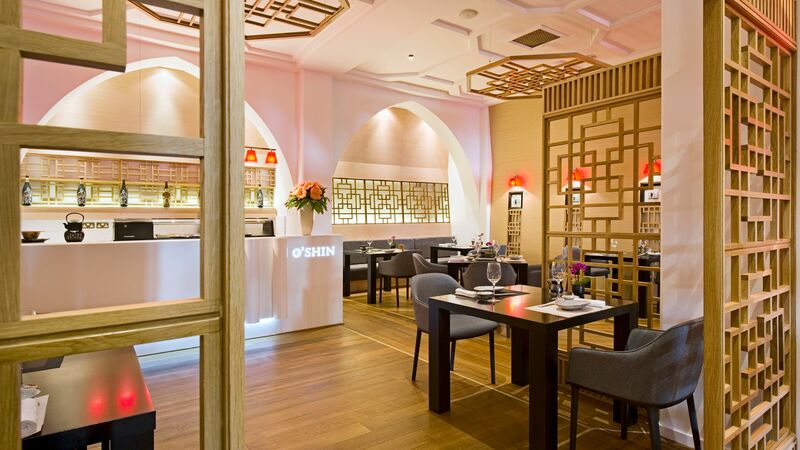 A simple and modern restaurant, choose from sushi at the live cooking station and a range of hot dishes from the kitchen. Favourites include crispy duck, lamb cutlets and dim sum. Guests on half board can receive a €25 credit per person to dine here. Authentic Italian cuisine is served in this rustic restaurant, with an al fresco terrace perfect for balmy evenings. Top dishes include lobster, beef carpaccio, wild boar ragout and cheesecake. 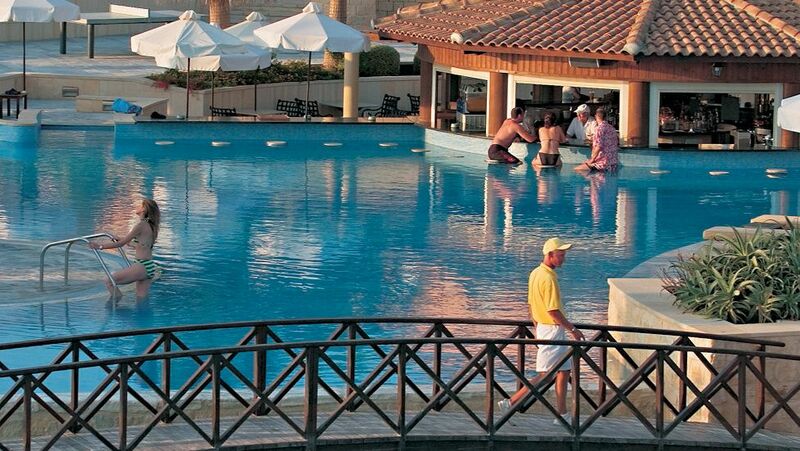 The large outdoor pool offers bridges, sun terraces and loungers, as well as hydro massage. There is also an indoor pool and guests staying in the Royal Studios or Royal Garden Villas can use the adults only Royal pool. The Hotel Elysium is located right on the golden sands of a peaceful crescent shaped beach. 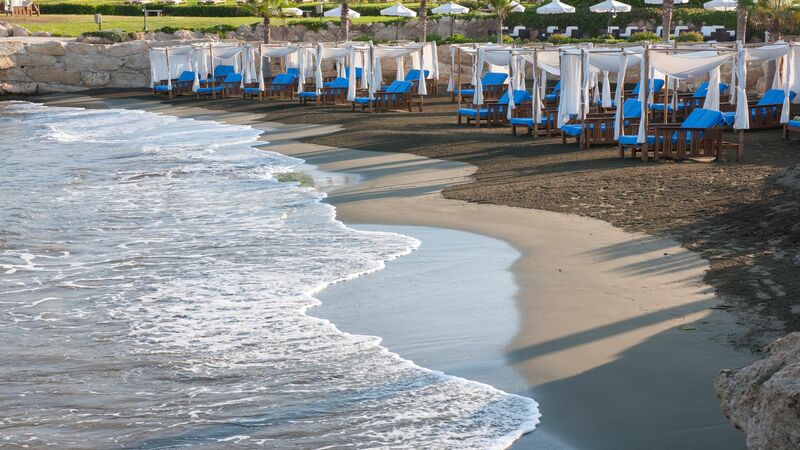 There are loungers and parasols, as well as swimming available in the crystal clear waters of the sea. Expert staff will keep your little ones entertained throughout the day with a full programme of sports and activities. 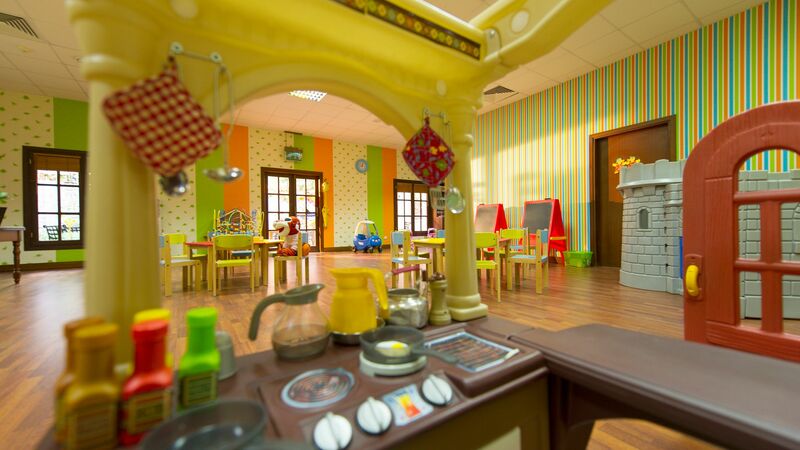 T shirt painting, drawing and face painting, a play area and more are included. 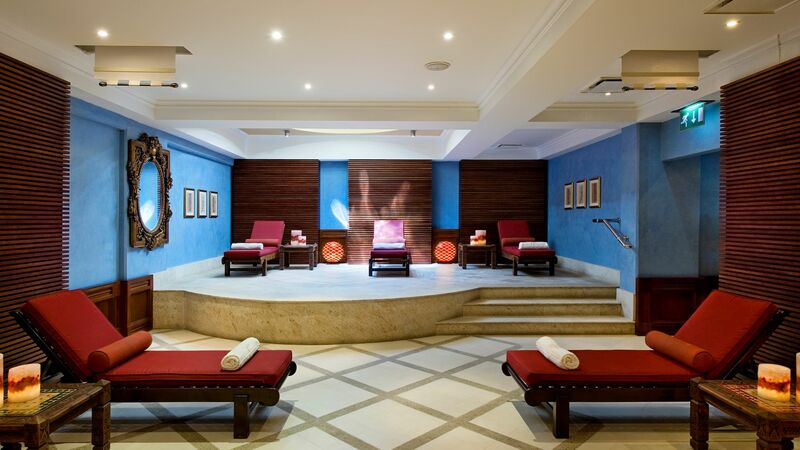 Relax and unwind with a range of treatments, including massages, facials and more. Aromatherapy, hydrotherapy and marine therapy will leave you feeling rejuvenated with a combination of ancient and modern techniques. 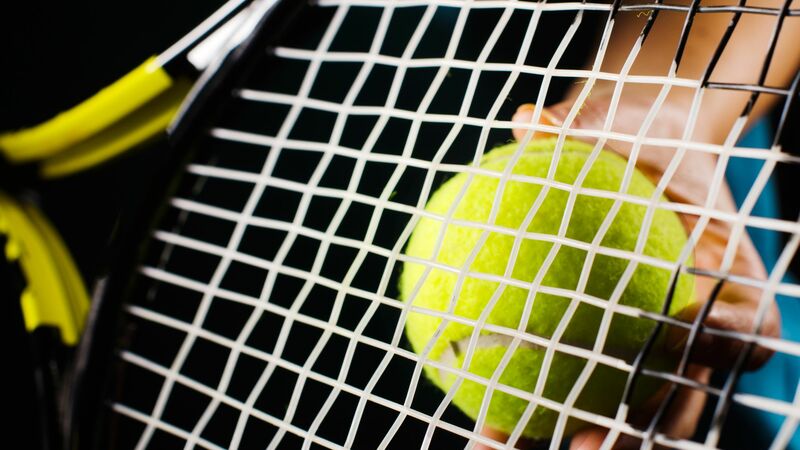 Guests can choose from two tennis courts, as well as a fitness centre where you can enjoy pilates and aerobics classes. The golden beach is located right in front of the property. Learn to scuba dive, sail or water ski during your stay at the Hotel Elysium. Located in a quiet area of Paphos, along Cyrpus’ south west coast, Hotel Elysium is ideally situated for those wanting to enjoy everything this lively town has to offer. Head into the old town for quaint, picturesque streets and little cafés where you can enjoy traditional dishes as you watch the world go by. Alternatively, the modern marina area has shops, restaurants and bars with a lively atmosphere and the chance to take boat trips. Those who enjoy the outdoors can try the many sports and water sports in the area, or walk around some of the fascinating ancient ruins around the town. Alternatively, simply spend the day on one of the town’s Blue Flag beaches where you will find crystal clear water and plenty of amenities. 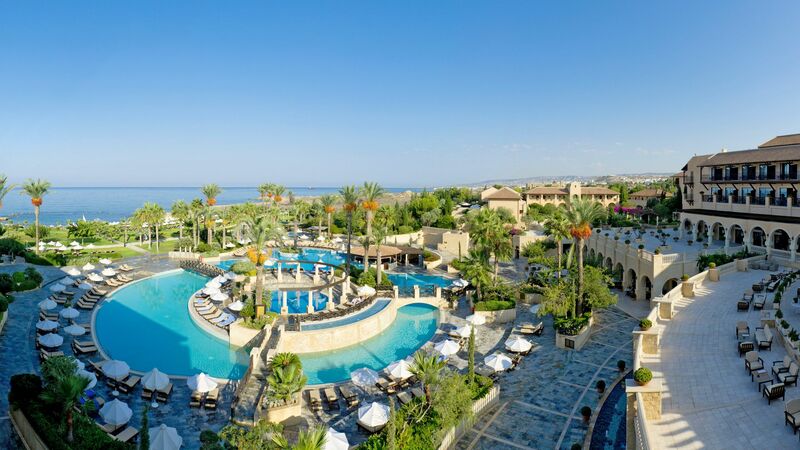 Hotel Elysium is a 25 minute drive from Paphos International Airport. Recently renovated Deluxe Rooms are tastefully decorated with warm colours and traditional Cypriot fabrics and furnishings with a marble en-suite bathroom. Rooms have a furnished terrace or balcony and facilities including minibar, smart TV, tea and coffee making facilities, safe, hairdryer and complimentary WiFi. Recently renovated Deluxe Side Sea View Rooms benefit from views that glimpse the sea, as well as furnishings that incorporate traditional Cypriot fabrics. The en-suite bathroom is adorned with marble for an added touch of luxury. Rooms have a furnished terrace or balcony and facilities including minibar, smart TV, tea and coffee making facilities, safe, hairdryer and complimentary WiFi. From the recently renovated Deluxe Sea View Rooms guests can admire sea views. The rooms have a marble en-suite bathroom and furnished terrace or balcony. Facilities include minibar, smart TV, tea and coffee making facilities, safe, hairdryer and complimentary WiFi. Family Cyprian Maisonettes have a double height living room overlooked by a mezzanine sleeping gallery, separate shower room, walk-in wardrobe and their own garden. Rooms are decorated in the local style featuring rustic terracotta tiles and timber and bamboo ceilings. Facilities include a smart TV, minibar, safe, hairdryer, complimentary WiFi and iPod® docking station. Family Cyprian Maisonettes have a double height living room overlooked by a mezzanine sleeping gallery, separate shower room, walk-in wardrobe and their own garden. Rooms are decorated in the local style featuring rustic terracotta tiles and timber and bamboo ceilings. They also have arched patio doors that overlook the Royal Gardens from one side and their own garden on the other side. Facilities include a smart TV, minibar, safe, hairdryer, complimentary WiFi and iPod® docking station. Royal Studios are located away from the main hotel. The rooms are luxuriously decorated and overlook the Tombs of the Kings or the Village Square. 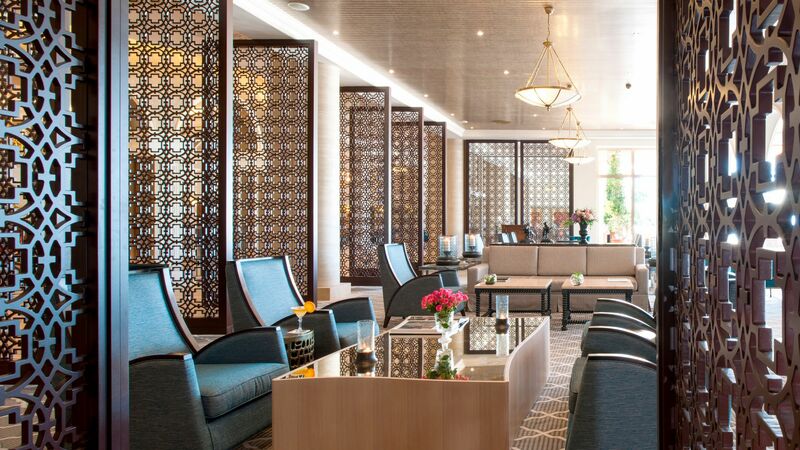 They are located in the adults only section of the hotel, which does not accept guests under the age of 16 years. Suites have facilities including minibar, smart TV, tea and coffee making facilities, espresso machine, hairdryer, iPod docking station® and safe. Royal Studios are situated away from the main hotel and overlook the Tombs of the Kings or the Village Square. They are located on the ground floor in the adults only section of the hotel, which does not accept guests under the age of 16 years and has a private garden and plunge pool. Suites have facilities including minibar, smart TV, tea and coffee making facilities, espresso machine, hairdryer, iPod docking station® and safe. Royal Garden Villas are set apart from the main building and have been designed around a traditional village square. The rooms have a double height living room, mezzanine sleeping area and a private garden with a plunge pool. Suites have facilities including minibar, smart TV, tea and coffee making facilities, espresso machine, hairdryer, iPod docking station® and safe. Recently renovated Junior Suites feature classic furnishings with a spacious living room, bedroom with double bed or twin beds and en suite bathroom and an expansive balcony. Available to book for travel from 01 May 2018. Recently renovated Junior Suites feature classic furnishings with a spacious living room, two bedrooms and an expansive balcony. Save up to 10% discount on the hotel price for holidays between 01 - 30 May 2019, booked by 30 April 2019 or for holidays between 01 November 2019 - 30 April 2020, booked by 31 October 2019. Guests staying between 01 January - 30 April 2019, 01 November - 30 December 2019 or 01 January - 30 April 2020 for a minimum of 3 nights will revive a free upgrade to Half Board. (dinner will be a buffet or set menu and has to be taken at Epicurean Restaurant or Lemonia Piazza). Guests staying between 01 May - 31 October 2019 receive free upgrade to half board with a minimum of 5 nights stay, booked by 31 March 2019. Save up to 20% on the accommodation price on a second room for children under 12 years old for holidays between 01 November 2018 - 31 October 2019. Guests staying for a minimum of 21 nights receive an additional 10% discount on their accommodation price for holidays between 01 May - 31 October 2019. Honeymooners receive a complimentary bottle of sparkling wine for holidays between 01 November 2018 - 31 October 2019. Offer may not be applicable to all room types and may not be combinable with all offers, a minimum of 5 nights stay is required. Guests staying in Royal Studio Garden View, Royal Studio Garden View Private Pool and Royal Garden Villa with Private Pool will receive the following added values Private Check-in and Concierge Service for holidays between 01 November 2018 - 31 October 2019. Use of I-pod and MP3 docking station in room. This was my 2nd visit to this beautiful hotel for afternoon tea. Once again we were well looked after by the attentive friendly staff. It was my friend's birthday and it really felt like a special occasion. The food is lovely and I would highly recommend a visit. Really enjoyed our afternoon tea at the Elysium. Lovely surroundings, staff and service could not be faulted including the wonderful Nikolas. This was my first visit to the Elysium, but I can assure you it will not be my last. Beautiful Hotel with very good food at a beautiful place with nice Garden and Pools (indoor & outdoor). Service is good and very friendly. What I liked most was that you can take a Picture anywhere and it just looks great. The Design and D? ?cor is very well considered and everything just fits. Great! For all People which want to relax and have a nice time in a beautiful area is this Hotel the perfect place. I Love it and will come back! Kids club amazing staff attentive and very professional they are fun and very nice to the children.I am very particular about kids clubs this one was brilliant and safe...the kids loved it There is a kids Party every night for 2 hours it's great fun. The kids magician...circus act was brilliant sorry I don't know his name ...very funny ! All staff were professional and a credit to the hotel Restaurant managers were very attentive The food was amazing and the wines delicious Decor beautiful and location fabulous.. immaculately clean The tomb of the king's was brilliant just be careful with small children they could easily stumble We will definitely return Thanks for a fabulous holiday!! !